Design by fashion industry professionals for quality In Design and fabric. 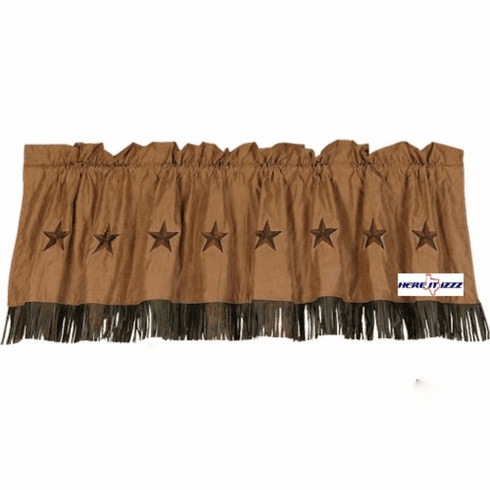 Beautifully embroidered Western Stars on this fully lined country Valance. Gorgeous looks alone or with the matching Western bedding set. Measuring 84x18 this Tan Triple Star Valance matches the bedding set perfectly. Embroidered stars and chocolate fringe show off the quality and detail.